The Chakras are the entry gates of our Aura or our Luminous Energy Field (LEF). The word Chakra in Sanskrit translates to wheel or disc, and healthy chakras (not imbalanced or blocked) are spinning in a clockwise direction a couple of inches outside the front of your body. Your Seven Main Chakras are located along the central line of the your body, from the base of your spine (the root chakra) to the top of your head (the crown chakra), and through receiving, assimilating and expressing your life force energy, these seven energy centers are responsible for your physical, mental, and spiritual functioning in everyday life. When one (or more) of your chakras are blocked or has an imbalance, the energy no longer flows harmoniously, and this imbalance will again express itself in other areas of your life. Through balancing your chakras it will therefore not only heal and balance the chakras themselves, but you will also start to heal the physical, emotional, and spiritual imbalances in your life, caused by their deficient functioning. In a chakra balancing session we will work through all of your chakras, bringing them back to equilibrium. We will be mapping out which ones are imbalanced, remove stagnant energy, and work towards healing and balancing the more deficient energy centers. Depending on how severe the imbalance may be, this may be healed through one session, or it may take several sessions over a period of time. A chakra balancing session works on a deep energetic level, including the physical body as well as emotions, mind and spirit. Most people reports that a chakra balancing session creates a deep feelings of peace, security, well-being and relaxation. It is however important to note, that depending on what type of traumas are stored in your LEF, causing these imbalances in your life and in your body, emotional reactions may occur, as emotions and traumas are being released. 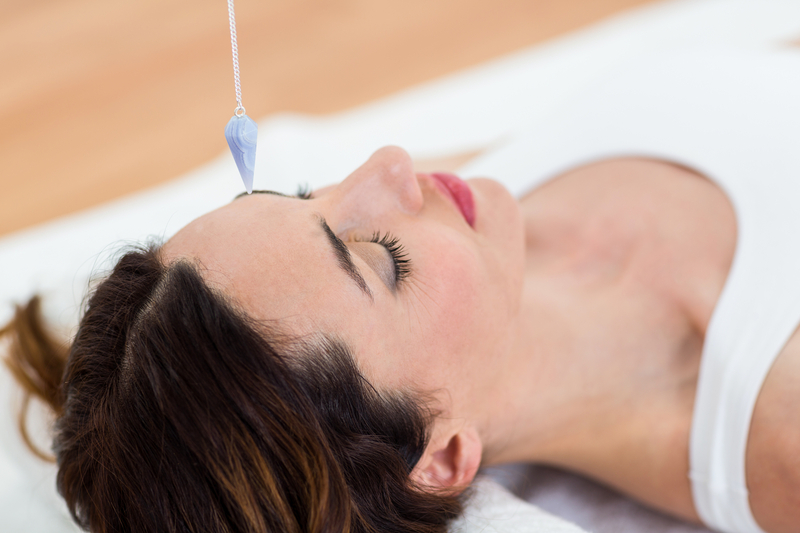 Anyone can attend a Chakra Balancing session, and enjoy the benefits from it. 1st Blocked Root Chakra: Weight gain/loss, depression, anxiety, constipation, pelvic pain, rush/stress, lack of attention, can lead to exhaustion and feeling stuck. 2nd Blocked Sacral Chakra: Grief, rigidity, need for control, emotional or sexual trauma, rage, fear, jealousy, co-dependency. 3rd Blocked Solar Plexus Chakra: Depression, anxiety, confusion, rigid Ego, need for control, lack of self confidence. 4th Blocked HeartChakra: Heartache, fear, guilt, lack of openness and trust, co-dependency, jealousy, fear of abandonment, anger, sadness, loneliness, bitterness. 5th Blocked Throat Chakra: Issues with self expression, fear of no power or control. You may come across as too meek/hesitant or overly gossipy, sarcastic and/or negative. 6th Blocked 3rd eye Chakra: Daydreaming, moodiness, distrust, lack of grounding, “spaced out”, headaches. 7th Blocked Crown Chakra: Depression, inability to learn, rigid thoughts on religion, constant confusion, fear of alienation.